Ted Markland is excited about attending the 2009 High Chaparral Reunion and wanted to talk to every High Chaparral fan. Here's your message from Reno - he's not on the roof, but he'll see you at the ranch! 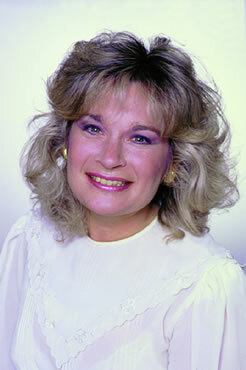 Getting To Know You with Susan McCray on KSAV.org will broadcast a special High Chaparral Reunion show from Old Tucson. Susan will walk the streets that were once the backdrop for your favorite western, reminiscing with Producer Kent McCray and all the stars. You'll hear great background stories and the memories of Henry Darrow, Don Collier, Bob Hoy, Rudy Ramos, plus many other crew members and fans. The 2007 Getting To Know You High Chaparral Reunion Special was a hit with listeners and continues to be accessed by fans. If you haven't heard it, you can re-live the 2007 Reunion here, thanks to Susan. It's also available on the Newsletter website in the Audio Archive. 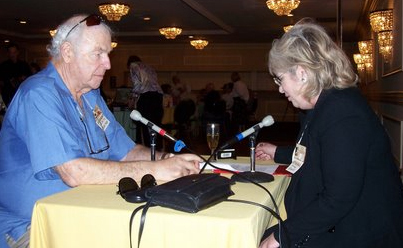 Thank you to Susan and radio station KSAV.org for providing this wonderful coverage of The High Chaparral Reunion 2009. News of the 2009 Reunion in Tucson has spread far and wide, and because of that many folks who worked on The High Chaparral are remembering their time on the set. Here are letters from a couple who've contacted us. 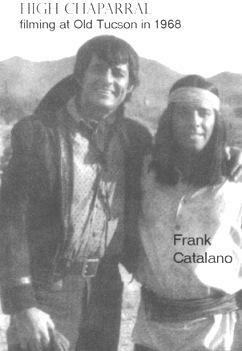 "My name is Frank Catalano and I had the pleasure of being an extra in the HC series for a year in Old Tucson. I have always resided in the city of Tucson, Arizona. My best friend in the series was Henry Darrow of course. I was a musician at "Gus and Andys" nightclub and the some of the cast were staying at the Hilton Inn on Miracle Mile across from where I worked. Wow! Years go by fast. I remember it as if it was yesterday. 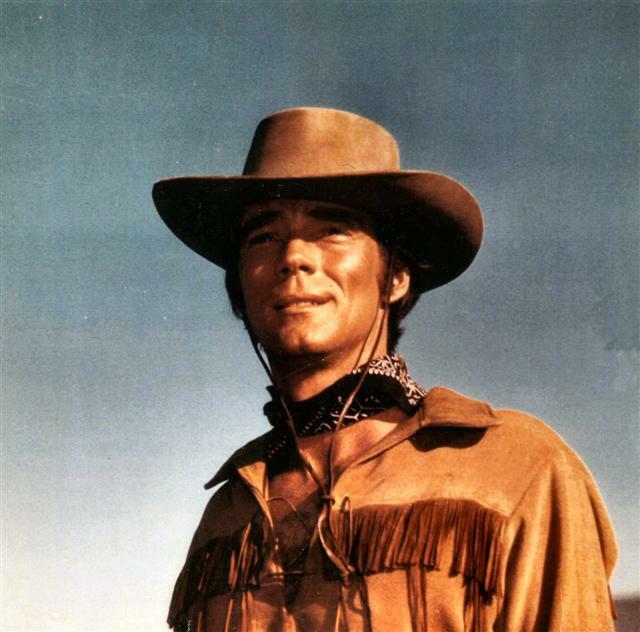 I was mostly an Apache native and rode a lot of horses in Indian raids and capturing "Boy Blue" (Mark Slade). Somehow he was always in trouble not obeying his father John Cannon and his mom Victoria. Henry Darrow was the joy and apple pie of the whole HC. He still is. What a wonderful man. When I see him again I hope he will remember me.Every week there was a special guest and I was fortunate to meet them. Ricardo Montalban, Frank Gorshin and many more were one segment guests on the series for a weeks filming. I met Stephanie Powers, David Jensen, John Wayne, Ruth Gordon, and many more. Thanks Penny." "Howdy Miss Penny, My name is Rick Hummer, I am Jackie Fullers son. As a retired stunt man and one who grew up on the set of HIGH CHAPARRAL as a kid , then on to Little House, Father Murphy and Highway to Heaven with Michael Landon and the rest of the crew who started on High Chaparral, thought you might be interested in having another voice to tell some stories about the old days with your invited guests who love the wild west days. I just did back ground and they used me as a stand in and a gopher back then. I was 11 when the show ended. I just saw the old set ( the house at old Tucson) last weekend ." "My name is Jay Gammons owner of Gammons Gulch Movie set. My father John A. Gammons Jr. was Chief of security for The High Chaparral Movie. I also assisted my father as security. I saw a picture of my father on your website with William F. Claxton on an earlier edition of your site. I still have some of the original call sheets from the movie." DON'T MISS A ONCE IN A LIFETIME EVENT! There's still time to attend, but the final deadline for reservations is getting close! We must give a final count to caterers and to Old Tucson, so we MUST HAVE YOUR RESERVATION by September 25th! It's easy to make your reservation, if you have questions email info@highchaparralnewsletter.com. Earlier this year, my youngest son Jesse, asked us to go to a sci-fi convention with him. It was my first convention and all I can say is I envy those of you who can attend the upcoming High Chaparral event! I’ll tell you why. To say we had a ball is an understatement. Jesse dressed for the part but his brother Kristian, wouldn’t be caught dead in costume. He kept rolling his eyes as Jesse donned each piece of his gear. Jesse asked me to dress up but I declined thinking it would be nerdy. I told my son that respectable scientists do not dress up as sci-fi characters. He pointed out that nobody would know who I was and what’s to say there wouldn’t be brain surgeons in costume. I said, ‘Adults don’t dress up.’ I was wrong! I was so worried Jesse would be laughed at that I even offered to bring a backpack with normal clothes he could change into in case he was the only one in costume. Well! It wasn’t hard to confirm we were at the right place. The street swarmed with alien life forms all converging on the same building. Kristian and I were the ones out of place! Have you ever mingled with witches and wizards from Hogwarts? Been hugged by Jedi and walked through a group of storm troopers? A strange Zorro-like creature with the concise name of ‘V’ took my breath away. People really buried themselves in the part. I met five Captain Kirk’s – all over 40! In fact there were more adults there than young people. I saw Vulcans galore and if the numerous wishes for me to live long and prosper have anything to do with it, I’ve got another 100 years in me. Even Kristian stopped worrying about appearances and had me photograph him with a blue lady he recognized from a series. So why am I telling you about a sci-fi convention? Because it taught me that people who attend conventions are as keen on getting involved with their favorite shows as you are of experiencing a taste of the real Chaparral. This is Why You Must Go if You Can! When I think that so many of you are in a position to attend the High Chaparral reunion all I can say is this: if you can get there, go! You won’t regret it. I wish I could go. I can’t begin to tell you the reasons why I love High Chaparral. I expect you share my views. I love the fact that we enter a different time; a time when certain courtesies were expected, a time before computers, mobile phones and all the other devices that demand our attention at all hours of the day. It was a time when people traveled by horseback or horse drawn carriage, not smelly automobiles. Doors could be left unlocked and crime was almost non-existent. Yes, times were tough but in my view, it was a golden era with more good than bad. I’ve often wished I could time travel back for a visit. Maybe you have too. Well you can – during the convention. Not only can you step back, but you can step right into the show that makes you want to be there in the first place! The sci-fi convention taught me that adults do dress up. Fans of a show accept each other and their costumes in the spirit of the event. They are people who immerse themselves in the magic with the knowledge that those around them are doing the same. Nobody looks at you and says, ‘What a dork!’ They are more likely to say, ‘Wow, where did you ever find a hat just like the one Buck wore? I looked everywhere!’ You’ll see cameras snapping pictures of the most unexpected things; people standing next to a giant cactus or sitting on the ranch house porch they loved seeing in the show, a picture of the sign saying you have arrived at the REAL High Chaparral. You’ll hear, ‘Gosh that guy looks just like Henry Darrow… Wait! It IS Henry Darrow!’ and rush for the camera again. You’ll think, I’m walking through the front door of the Chaparral – the real thing! You know something, everyone around you will be getting the same buzz out of being there. Okay so what if you’re not worried about what people think. What if you’re quite prepared to dress the part (not that you have to) but worry that in these times of economic hardship, is attending a reunion really a sensible thing to do? After all, it is a luxury. How do you justify the cost? Well, what about the fact that all year you work hard and maybe deserve a break. If it bothers you so much, then rather than go away on holiday spend your holiday period at home and make the reunion the treat you spend your holiday money on. You’ll probably save money that way. Reunions aren’t weekly events. Going to work every day, paying bills, raising children, maintaining our properties… these are weekly – daily events. While we love our families, being ‘grown up’ is hard work. We deserve a break. We deserve to step back into the magic of a world that makes us happy. We don’t get the chance often! Think of the other classic shows; Bewitched, Get Smart, Bonanza… fans might still gather but the casts of these shows are no longer with us. We’re lucky to still have Mano, Victoria, Bob Hoy and others. I learned a valuable lesson some years ago. My late mother was always saving things ‘for special’. Give her a pretty nightie or perfume and it went in the drawer ‘for special’. I don’t mean to bring you down but Mom was only 48 when illness took her from us. She never got to enjoy any of the ‘special’ things she kept saving. It was then I learned that sometimes, ‘saving things for later’ doesn’t always work. Later might not come. Who knows where any of us will be next year? Personally, if I could attend the High Chaparral event, I’d be there in a heartbeat – armed with a camera, autograph book and in costume too! By Maria Adela Rivas Diaz, in a small city, of a small country (Uruguay), as far back as the decade of the ‘70s. 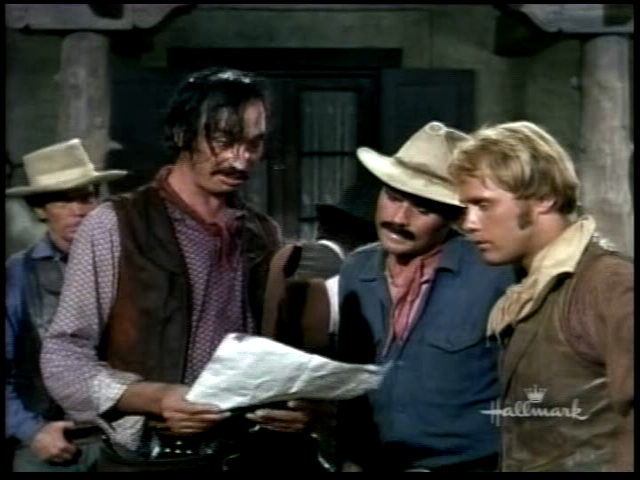 Whenever I watch (and watch again and again) every episode of High Chaparral, I travel back in time to my childhood. My two older brothers and I never missed an episode. Afterwards in the enormous courtyard of our house we would play, imitating all the prominent characters and stories of The High Chaparral. We were so happy playing cowboys and Indians. We would improvise our own stories with whatever toys we had, so like magicians we made shotguns, cartridge belts, revolvers, arrows, cowboy hats, and everything else with whatever trash we had on hand. At the back of the enormous courtyard of our house there was a shed for storing things that were not used, and in it my father kept a big box full of newspapers, magazines and comics, very, very old. One day while we were playing I was ‘trapped’ in the shed, which was always for us the ranch house, High Chaparral. I was defending myself from an Apache assault led by my brothers, when Cochise (my oldest brother) had an idea. Cochise wrapped his arrow with cotton, soaked it in alcohol, lit it and aimed it squarely at the window where I shot wildly with my shotgun. The arrow flew straight and true into my father’s storage box, bursting the papers into flames. Up the wood to the roof they climbed, burning the roof as evidence of our mighty battle. We were scared almost out of our wits! The neighbors saw the smoke and ran with buckets of water, but were stopped by a wire fence between the two houses. The fire almost burned our neighbor’s straw roofed henhouse. Another neighbor shouted they were calling the fire department, but luckily it wasn’t necessary and our ‘bunkhouse boys’ were able to extinguish it themselves. Editor's note: Maria is from Uruguay, and sent her childhood story in Spanish. The original translation was kindly provided by Plinio Romero, then edited by yours truly. Any errors in translation or phrasing are mine. C'mon, you've GOT to have questions for the stars of The High Chaparral! How'd they learn to make turkey calls in For What We Are About To Receive? Why did Uncle Buck eat with his gloves on or what was the original name of Follow Your Heart? Put on your thinking cap and send in your questions to info@highchaparralnewsletter.com. They'll all go on cards to ask during discussions at the Reunion - and we'll do our best to have voice recorders going, so you can hear the answer yourself! So what else can you think of??? Was Blue named for Mark Slade's eyes? How tall was Cameron Mitchell? Can Henry Darrow really dance and sing? And what is Chaparral, anyway? Don't you love it when you get a card or letter? It makes your day! 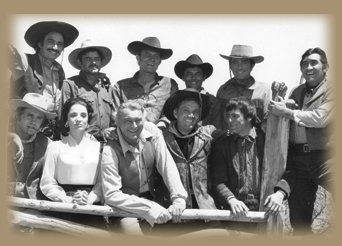 We're going to put together a BIG letter to The High Chaparral cast and families, with notes from YOU, the fans. This is open to ALL of you, any fan, so please participate. Take a minute to send a few lines expressing your appreciation. It can be for a certain character, scene, the show. Anything you'd like to say. We'll put all of them together for the HC folks at the Reunion. Anyone who isn't attending will receive a copy, too, including families of those who are no longer with us. Tina has graciously agreed to compile your letters, so send it to sweett@ntelos.net. The High Chaparral family is saddened to learn of the passing of Miles Middough, Unit Production Manager and Assistant Director, on Friday, August 14, 2009 at his home. After serving as Unit Production Manager on The High Chaparral, Middough worked for many years on Little House on the Prairie as Production Manager. His career included stints as assistant director for episodes of Gilligan's Island, Mannix, and Bonanza. 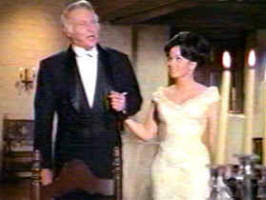 Susan McCray said, "As you know Miles loved High Chaparral very much. Very glad we all had a chance to see him at the last reunion." 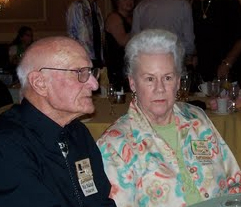 Fans who attended The High Chaparral Reunion 2007 recall meeting Middough and his wife Jean. He was so pleased to reunite with co-workers and fans that he brought pieces of memorabilia he'd saved from the show. In an email to Susan McCray, Melissa Gilbert, actress, said, "This makes me very sad. I loved Uncle Miles." Listen to Kent McCrays words. Not sure what to pack for Arizona? Victoria's fashion advice might be a bit formal! Airline, check. Registration, check. Hotel, time at work, dog sitter, check, check, check. Now you're eyeing the suitcase in the corner, wondering what you'll pack for your big trip to Tucson. 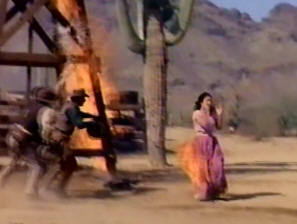 This month it's still hot in High Chaparral country with daytime temperatures hitting 102°F degrees or more. Fortunately October ranges from 84° to 57°F, but remember Arizona is high desert and the sun is fierce. If you tour outside bring an umbrella or hat, sun block, short sleeves or short pants, comfortable shoes and always drink plenty of water. Several have asked if they need formal clothes for the reunion. No! You're in cowboy country, dress as you like. If you choose a pantsuit or dress for the dinners great, but jeans also fit the bill - we're an informal group. Saturday at Tucson we'll be outside at the ranch set then inside for lunch and a presentation. Consider layers. Stay cool in the sun (remember a hat, sunscreen and water bottle. And use the water bottle religiously). Wear shoes that will handle lots of walking. Depending on how you handle heat consider shorts or cropped pants. The Arizona heat means some buildings can be overcooled by air conditioning; if you're easily chilled toss a jacket in your tote bag. Don't forget a camera, you'll need it! Check your airline website for the latest updates for carryon items, including liquids like hand sanitizers, makeup, toothpaste, or lotions. Always pack medications and jewelry in your carryon, plus a single change of clothes as a backup. Before leaving double check the weight restrictions for your airlines luggage, and be sure you know any charges for checking a bag. To bypass lines at the airport, twenty-four hours before departure check-in to your flight online and print your boarding pass. Then board the flight, sit back and relax - you're on your way to Tucson! The High Chaparral Reunion will include a Goody Auction, with lots of fun things, including items you can have autographed. Start shopping in the Auction Gallery. 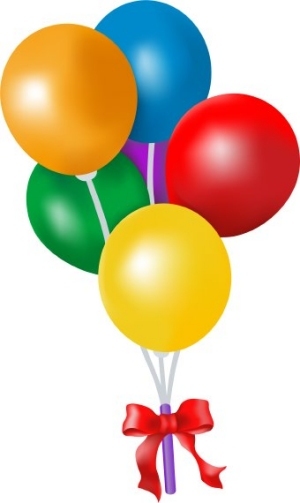 The High Chaparral Newsletter reached a milestone of 500 subscribers in August. The original list began with less than 150 two years ago. This brisk growth from HC fans all over the world proves interest in the show continues. The 500th subscriber was Jay Gammons from Gammons Gulch Movie Set and Museum. 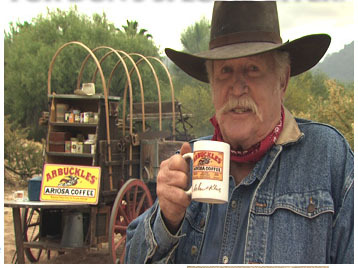 Located in Pomerene Arizona, Gammons Gulch is also a sponsor of the 2009 Reunion. Who will be our 600th subscriber? Thank you to all our loyal readers! New editions of The High Chaparral Newsletter are delivered by email, then uploaded to the website when the next issue is mailed. By doing this our subscribers receive the news first. This means you can read the last issue online at the time the next issue is mailed - so you get a nice benefit by subscribing. The last issue can now be see here. If you want the latest news about The High Chaparral, visit the subscription page on the website, or email info@highchaparralnewsletter.com and ask to be added to the mailing list. 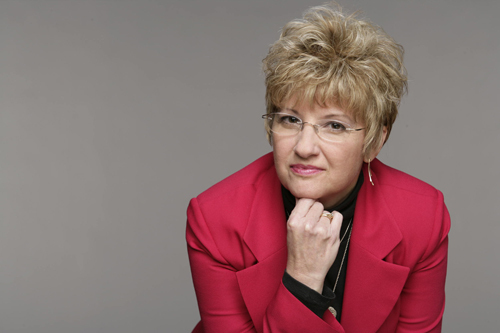 High Chaparral Newsletter editor Penny McQueen will be a guest on Getting To Know You with Susan McCray, September 22 at 6:30 pm PST/9:30 pm EST on KSAV.org. Penny discusses High Chaparral, the HC newsletter, and the 2009 Reunion. Hosted by Susan McCray, Getting To Know You features Susan interviewing people from all walks of life - celebrities from the entertainment business, educators, sports personalities, business people and more. You can listen to Susan's promo here. On Sunday, September 20, the Autry National Center of the American West, which includes the Southwest Museum of the American Indian, the Museum of the American West, and the Institute for the Study of the American West, will present Bonanza Day to celebrate the 50th Anniversary of Bonanza on the air. 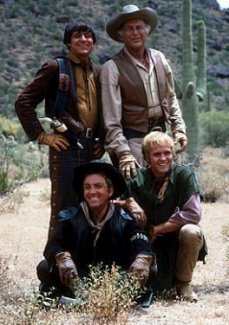 It is said that somewhere in the world, 24/7 since September 1959, a Bonanza episode can be viewed on television. Kent and Susan McCray will be on hand to greet guests and will participate in panel discussions. 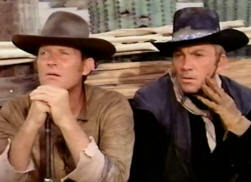 Although the focus of the day is on Bonanza, The High Chaparral will also come up as it was created by David Dortort. The Autry Center Bonanza Day link is: http://www.autrynationalcenter.org/bonanza_day.php. Watch the main Autry Center page for a banner, and check out the Events Tab, too. The Autry National Center is located in Griffith Park, Los Angeles, California. The street address is Autry National Center 4700 Western Heritage Way, telephone 323.667.2000, http://www.autrynationalcenter.org. Bonanza Day hours are from 11AM to 5PM. Admission to Members is free, regular non-member museum admission includes all the activities and festivities of Bonanza Day as well as all other museum attractions. David Dortort, Matt and Wendy Dortort Czarnecki, and Fred and Gael Fitzmaurice Dortort will be on hand the entire day. Bonanza Ventures attorney Andy Klyde will attend and participate in discussions. Highlights of Bonanza Day will include continuous showing of Bonanza and High Chaparral episodes and associated video, a presentation by Autry curator of popular culture materials Jeffrey Richardson and other staff members, viewing and discussion of select materials from the Dortort Archive, a panel discussion with principals from the show's production with audience participation, opportunities to briefly meet personally with David Dortort, the Western Music Association monthly jam session, and the announcement of the Gift of the Dortort Archive to the Autry National Center, followed by a reception with light refreshment. In addition the museum store will feature the Bonanza DVD set and a number of other items of memorabilia. A huge THANK YOU to each of our sponsors. Without you the Reunion wouldn't take place. 10 September 1967: High Chaparral first aired. Over four decades and still going strong! 15 September: Happy Birthday to Henry Darrow! We wish you a great day and many more.